What: A lively panel discussion featuring notable DC-area restauranteurs who have successfully navigated the bumpy road to their first and subsequent grand openings, offering candid insights about the challenges, delays and surprises that tested their mettle. Hear their lessons learned, rewards realized and how to create your own personal recipe for success. Remarks by Michael Sternberg, President & CEO, Sternberg Hospitality with Bethany Kazaba, Co-Founder and Managing Principal of Neighborhood Retail Group as event moderator. When: Tuesday, March 7, 2017, 2:00-5:00 p.m. Agenda: Registration, 2-2:30 p.m.; Program, 2:30-4:00 p.m.; Cocktails & Light Fare: 4-5:00 p.m. 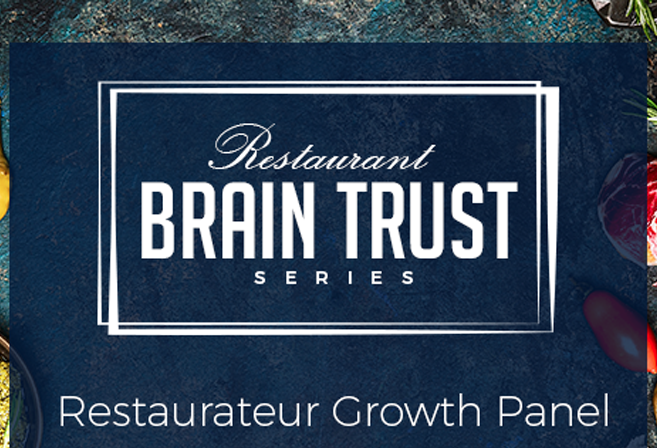 Restaurant Brain Trust is a collective effort by several active members of the Greater Washington, DC restaurant community to develop an educational and networking series geared for restaurateurs and their staffs. Our mission is to help local restaurateurs realize their growth plans by equipping them with the educational content and professional contacts that will be integral to their success.